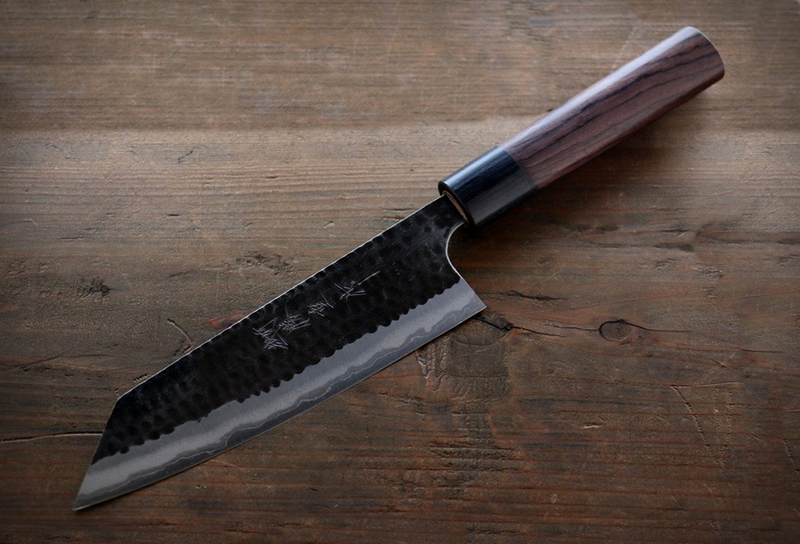 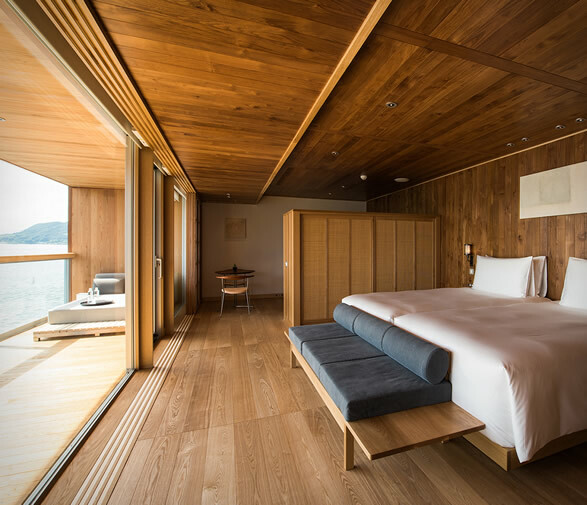 Guntu is a a new creation that is making our admiration grow for all things that come out of the rising sun country... Japan. 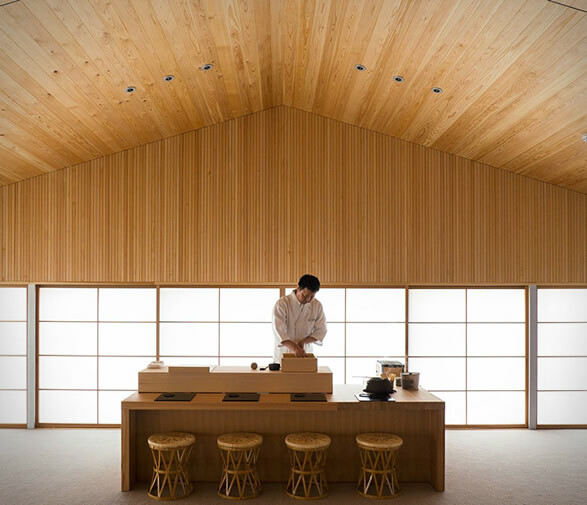 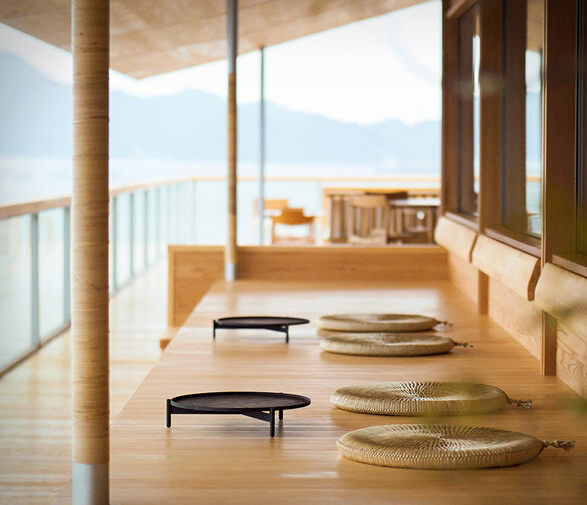 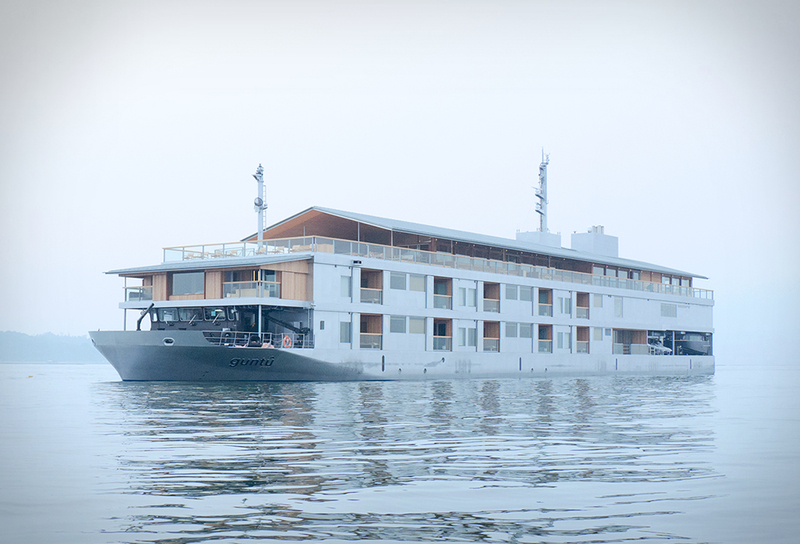 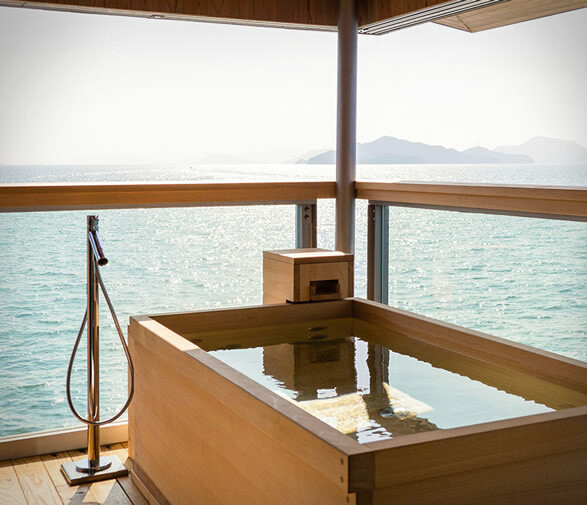 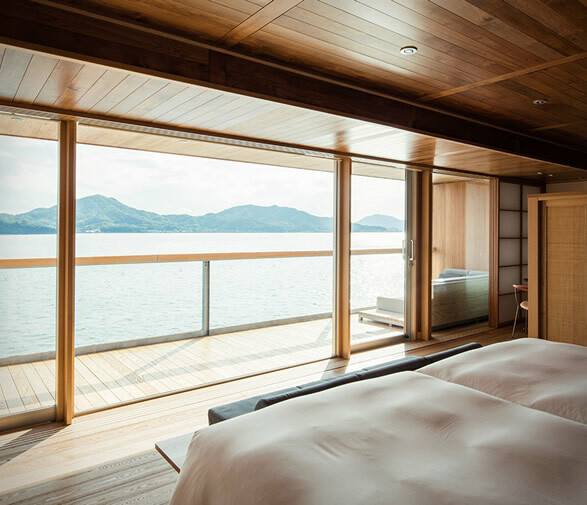 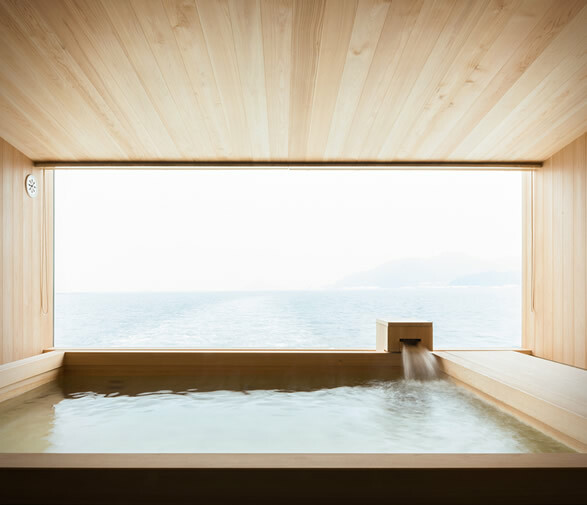 The fabulous floating hotel, designed by the acclaimed architect Yasube Horibe, aims to recreate a Ryokan - traditional Japanese Inn. 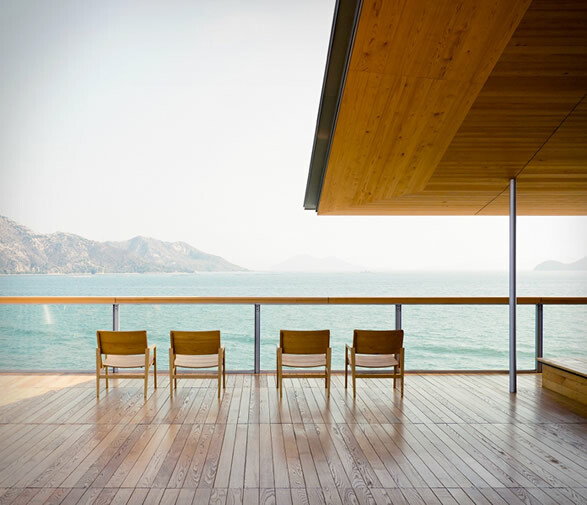 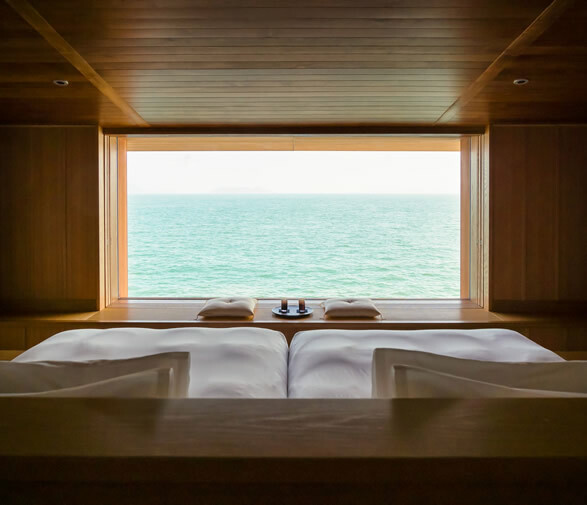 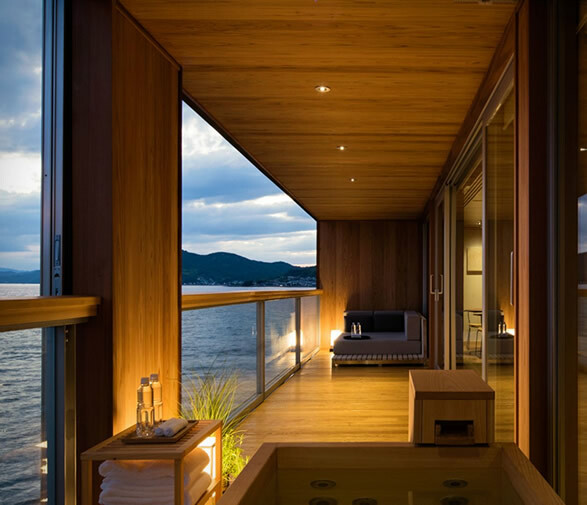 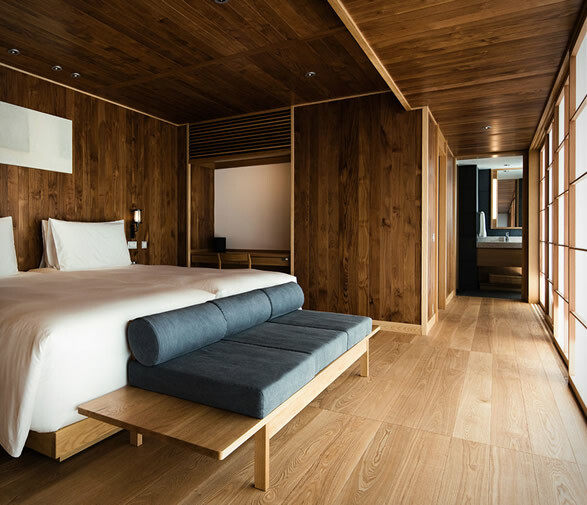 Comprised of 19 rooms (all boasting their own terrace and gorgeous sea views), it’s all elegantly finished, with wood as its main element and the traditional minimalist oriental style. 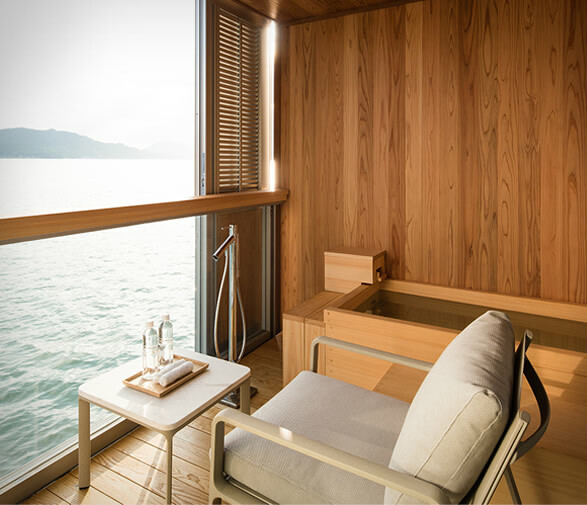 The beautiful ship slowly cruises the Set Inland Sea and you may choose six different courses to enjoy the striking landscape. 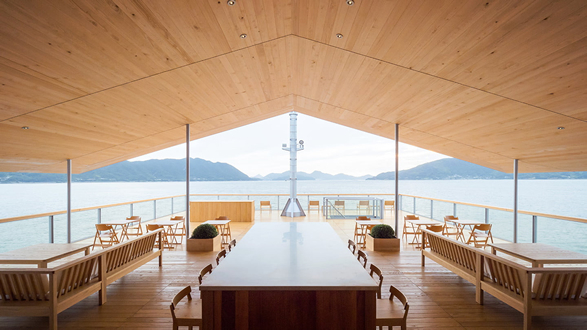 On the rooftop you’ll get a spacious deck to admire the ever-changing view plus an indoor lounge to stay warm and mingle with the other guests should you choose to. 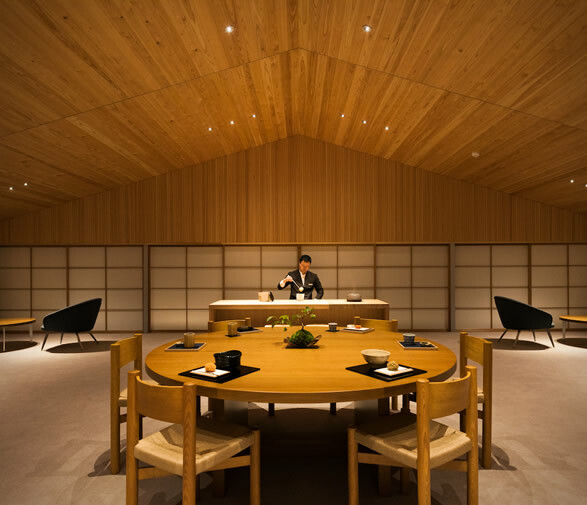 Guests can also enjoy delicious Japanese food, sushi, and seasonal dishes in the expansive dining room. 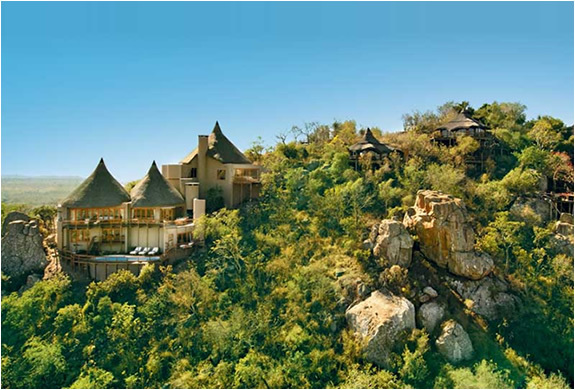 If you’re heading that way, be sure to check it out and book some reservations ahead.